Leningrad Conservatory: Diplomas with honors, equivalent of Bachelor's, Master's, DMA. Artistic Director: Summit Music Festival, Purchase, N.Y., Burgos International Music Festival, Burgos, Spain. Director: International Academy of Music in St.Petersburg, Russia and in Castelnuovo di Garfagnana, Italy. Faculty: Music Conservatory of Westchester, Manhattan School of Music. Member, Emelin Trio. Concerts in Russia, USA, Central America, Canada, Russia, France, Belgium,Germany, Italy, Spain, South Africa. Leningrad Conservatory: Diplomas equvalent of Bachelor's, Master's. Performances throughout former Soviet Union. Recordings on Golden Heritage of Leningrad Radio. Faculty: Music Conservatory of Westchester. Former faculty: Leningrad Conservatory. Studied at St. Petersburg State Conservatory, Russia. Performed in Russia, USA (including Weil Recital Hall at Carnegie Hall), Italy, Mexico, South Africa as a soloist and as a member of chamber ensembles. Principal cellist with New York City Symphony, Virginia Beach Orchestral Association. Assistant Principal Cellist, Teatro San Carlo, Naples, Italy. 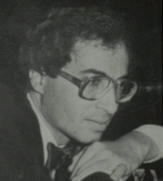 Member of the Briskin Piano Trio. 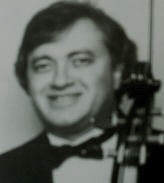 Taught cello in the Bronxville Public School private lesson program for 25 years. Taught cello privately in Westchester for over 30 years. BS, Brooklyn College; MM, University of Arizona; Suzuki certified, School for Strings. Numerous recitals. Articles in various music publications. Faculty: Music Conservatory of Westchester, Crestwood Music Education Center. Received her education in the Central Special School of Music, the Moscow Conservatory, and Indiana University where she studied with Boris Belenky, Igor Bezrodny, and Miriam Fried. Ms. Lipkina has performed as a recitalist in Russia and in countries from the former Soviet Union and has performed with orchestras as a soloist in Russia, Romania, Germany, Finland, Japan, and the United States. She has won prizes in the Enescu Violin Competition (Romania) and in the Shostakovich Chamber Music Competition (St. Petersburg). She has performed on Moscow Radio and TV programs. 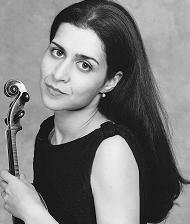 While at Indiana University, Ms. Lipkina began to study viola with Atar Arad and made her viola debut in the Dubinsky Quartet later that year. She has since participated in festivals as both a violinist and violist including Marlboro, Norfolk, Grand Teton, Rauma (Finland), Waterloo (Belgium), and Musique et Amitie (Switzerland) festivals, among others. Ms.Lipkina performed with chamber orchestras such as St.Luke’s Orchestra, Mahler Chamber Orchestra and SONYC and made several tours in Japan with NY Symphonic Ensemble.She is a sought after chamber music and a recording artist and frequently performs as a member of various ensembles and orchestras, including her own Manhattan Counterpoint Ensemble, The Little Orchestra Society, and American Composers Orchestra. Ms. Lipkina has been on the faculties of the music department New York University School of Education and the Children's Orchestra Society. She is also conducting regular master classes and workshops, and adjudicating music competitions.